The upcoming midterm elections will usher in the 116th Congress at a critical time in public education. 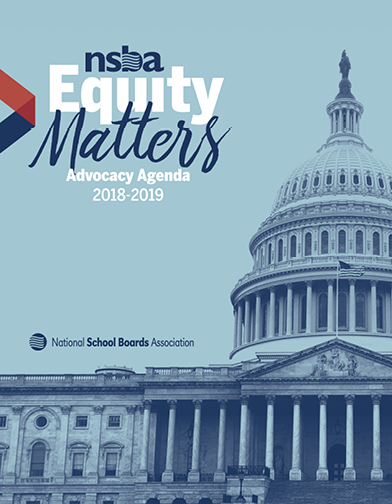 Join us at the 2019 NSBA Advocacy Institute for insight into what the new Congress will mean for your school district. And, of course, learn about techniques and tools to sharpen your advocacy skills, and prepare for effective meetings with your representatives. Save the date to join school board members from across the country on Capitol Hill to influence the new legislative agenda and shape the decisions made inside the Beltway that directly impact our students. For more information contact federaladvocacy@nsba.org.